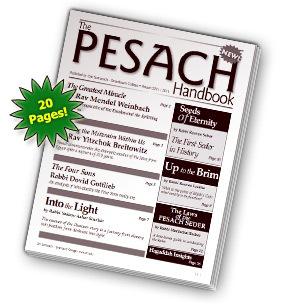 Ohr Somayach is proud to offer our Pesach Handbook as part of our Holiday Handbook series. This handbook is a compilation of articles and a new selection of material from the archives. With great essays, Q/A and halachic overview it is a tremendous asset for schools, synagogues and organizations. To download it for free, please fill out the short form below.